Bill McKibben on the New England roots of religious environmentalism. 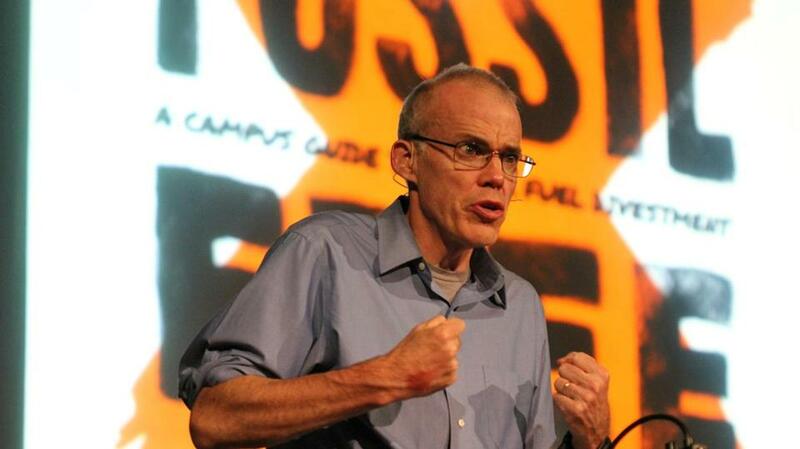 Activist Bill McKibben speaks about persuading universities to divest from fossil fuels. Pope Francis’s remarkable encyclical, Laudato Si’, has been rightly hailed as a watershed moment in the climate debate, the moment when religion finally took note of what science had been saying for a couple of decades. As with all watersheds, though, the river at the bottom draws its power from all the creeks that feed in along the way — it’s worth remembering just how many people (a large number of them in Massachusetts) have worked over the years to build a true faith-based environmental movement. How they’ve managed to do it holds lessons for all of us trying to spread the word about climate change. Twenty-five years ago, when this work was just getting started, there was nothing easy about it: In liberal churches and synagogues, environmentalism was considered slightly elitist, a task to be gotten to once the serious business of war and hunger had been dealt with. In conservative congregations, anything green was considered a depot on the track to paganism. But there were always a few people who read Scripture with enough care to find consistent threads of stewardship and ecological consciousness. To see, in fact, that war and hunger and poverty were deeply connected to the earth. And not just in the Judeo-Christian tradition: Harvard, under the leadership of Mary Evelyn Tucker and John Grim, convened a series of remarkable conferences where theologians from Islam, Jainism, Confucianism, and a variety of other global faiths mined their traditions for contributions to an environmental worldview. Small is one of the key figures in the religious environmental surge. In 2013, his Cambridge church was one of the country’s first to divest from fossil fuels, and he helped persuade his entire denomination to make its decision to divest in June 2014. The United Church of Christ did the same in 2013, and the key player was another Bay Stater, Jim Antal. Antal has traveled Massachusetts from one end to the other, often by bicycle, preaching constantly about climate change. But he’s also worn his clerical collar to jail, most notably at the first big mass arrests protesting the Keystone pipeline. In lockup, he helped celebrate a Sunday morning service in D.C.’s central cellblock for dozens jailed the day before (including me). 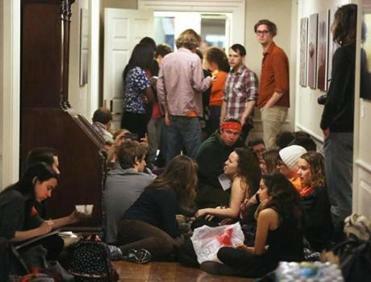 Prominent alumni, from Bevis Longstreth to Natalie Portman, are joining students in calling on the university to divest from fossil fuels. Religious environmentalism hasn’t conquered every territory — many evangelical churches remain suspicious of the fight. Even that is changing, though: A former New England physician, Matthew Sleeth, organized a nonprofit called Blessed Earth and speaks to conservative congregations across the country. Polling data show such efforts find increasing favor with young evangelicals. Bill McKibben is a scholar in residence in environmental studies at Middlebury College and cofounder of the international environmental group 350.org. Send comments to magazine@globe.com.